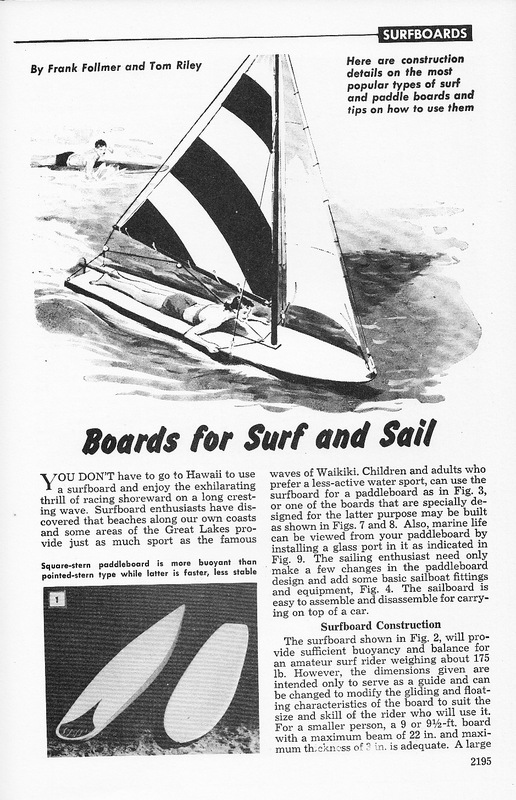 While researching Long Beach Wild, I often heard that many of the early west coast surfers made their first boards using plans they found in Popular Mechanics magazine. So, for years I’ve kept my eyes open for the particular issue with those plans. 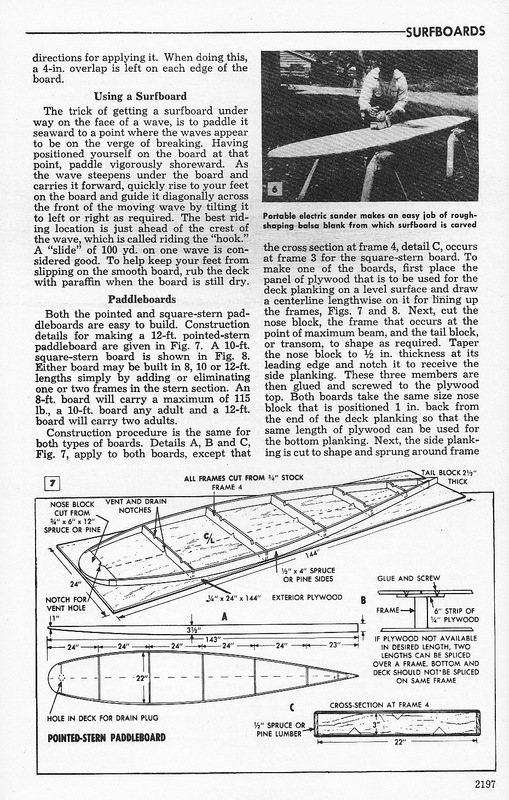 Last weekend, at a church book sale, I found this compendium from 1961 and, voila, the plans! 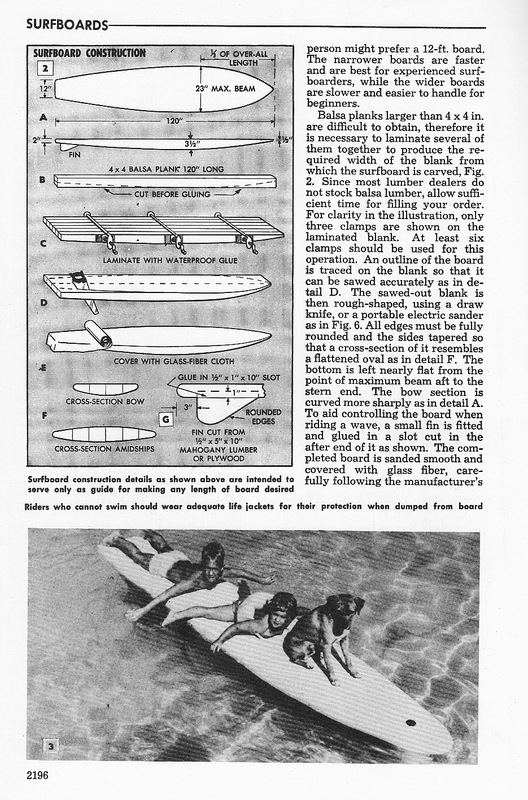 Plans for building “boards for surf and sail” from Popular Mechanics, circa 1961.